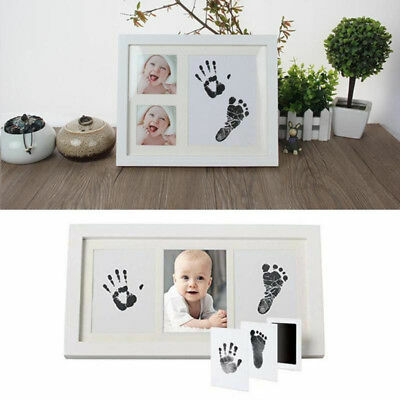 Introducing the safest, easiest mess-free way to create a lasting memory of your baby’s precious print! This kit includes everything you need to capture a handprint or footprint for a most lovely and totally personalized keepsake. As the years fly by and your child grows, a tiny print remains forever—always there to reminding you of those fleeting first months of babyhood. 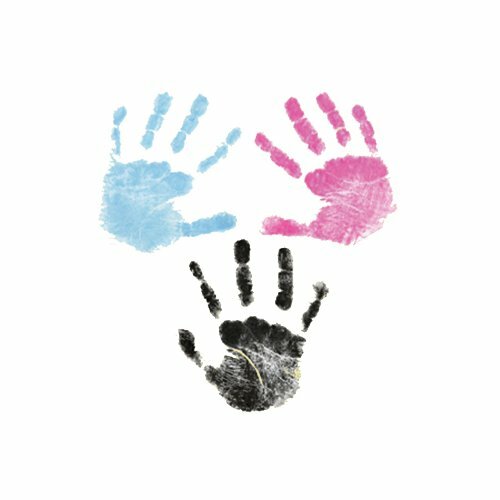 Our innovative kit uses mess-free inkless technology to ensure there is no actual contact between baby’s skin and the ink. Just one press reveals stunning detail and clarity! Multiple imprint cards mean you can accommodate more than one child or do hands/feet over a few months for one child to show growth. Our inkpad makes a thoughtful new baby or shower gift. Or add it to your registry. There’s no better way to capture special memories of your sweet newborn. Smart inkless touch design guarantees no direct contact between baby's skin and the ink. Just one press and can capture and reveal the greatest details of your baby's hand and feet easily. Strong ink absorbency with no smear. Create a lasting memory of your baby's tiny print as keepsakes. Perfect for baby gift, baby shower or baby registry.